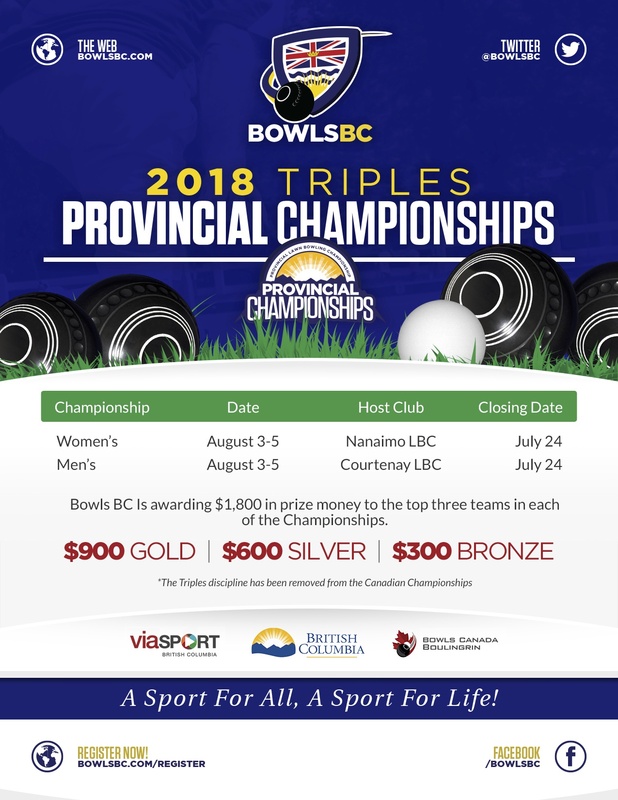 Bowls BC has decided to add prize money to the Provincial Triples Championships. The Triples discipline this year has been removed from the Canadian Championships as Bowls Canada felt that this was just too much to handle. Triples is one of the most played Team event across our Country so trying to continue this the BOM thought it was a great idea to add some bonus money to the winners to encourage participation.